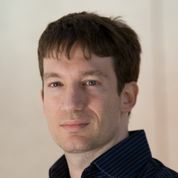 Eden	Shochat	is	a	General	Partner	focused	on	seed	stage	investing	at Genesis	Partners,	one	of	Israel	most	active	VCs. Eden	has	over	15	years	of experience	as	the	founder	and	Chief	Technology	Officer	of	a	variety	of software	companies,	and	is	an	angel	investor,	serial entrepreneur	and technology	specialist. Most	recently	Eden	started	&	supported	The Junction,	a	shared	workspace	&	community	in	Tel	Aviv	that's	focused	on taking	entrepreneurs	to	the	next	level through	a	pay-it-forward collaboration	model. Prior	to	joining	Genesis,	Shochat	co-founded	and	was	the	chairman	of face.com,	the	world leader	in	massive,	web-scale	face	recognition	in	social networks	with	over	52 billion	indexed	images	and	130	million	uniquely recognized	people. Face.com	was	recently	sold	to	facebook. Previously, Shochat	co-founded	and	was	the	Chief	Technology	Officer	of	Aternity, where	he	led the	strategic	product	direction	for	its	user-experience monitoring	platform	and	Delavenne	Enterprises,	an	analytics-based	hedge fund. Eden	is	one	of	the	organizers	of	the	annual	Geekcon	geeks	conference ,	a	mentor	at	the	Startupseeds	high-schol students	program	and	teaches	new	media	entrepreneurship	at	the	IDC (Herzeliya	interdisciplinary	center). Eden Shochat is a General Partner focused on seed stage investing at Genesis Partners,one of Israel most active VCs. Eden has over 15 years of experience as the founder andChief Technology Officer of a variety of software companies, and is an angel investor,serial entrepreneur and technology specialist. Most recently Eden co founded TheJunction, a shared workspace & community that's focused on taking entrepreneurs to thenext level.